A replica of a human thorax, this manikin has all appropriate landmarks neessary to train students in proper placement of ECG leads. Using reusable, color-coded magnets for leads, students learn correct placement as the appropriate LED lights up. A lighted signal also indicates when all leads are placed correctly. 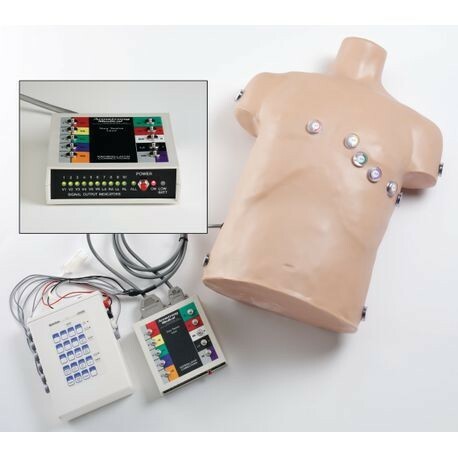 The AA-3400 can be used with a rhythm simulator to enhance training by adding ECG readings that can be viewed on your monitor or printed on your 12-lead ECG machine.